Domicilium provide hosting facilities in a number of jurisdictions around the world. Its most recent investment has been in the award winning Isle of Man datacentre at Ronaldsway located at the heart of the British Isles. The facility is one of the first next generation datacentres to be deployed and has been the subject of many independent articles and white papers. 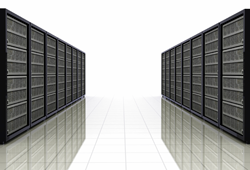 The Isle of Man datacentre offers unparalleled levels of resilience, security and availability coupled with a state of the art cooling system which can support higher density deployments than required by most technology. Domicilium has a pioneering approach to the rapid deployment of bespoke hosting environments which can be tailored to a client’s exact requirements. Customers already in the Isle of Man datacentre have benefited from the delivery of custom hosting areas deployed within a period of weeks where traditional build times exceed a year. If resilience is important to your business then Domicilium should be your first port of call whether you require simple shared hosting or a custom build.